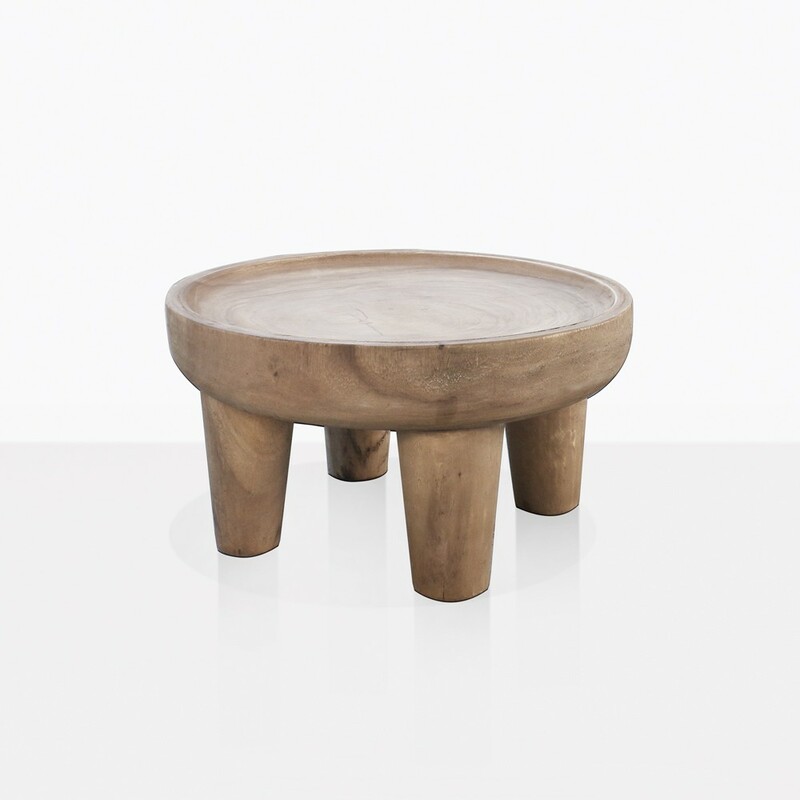 These stunning coffee tables are inspired by vintage African Stools, they are raw, natural and simply beautiful. 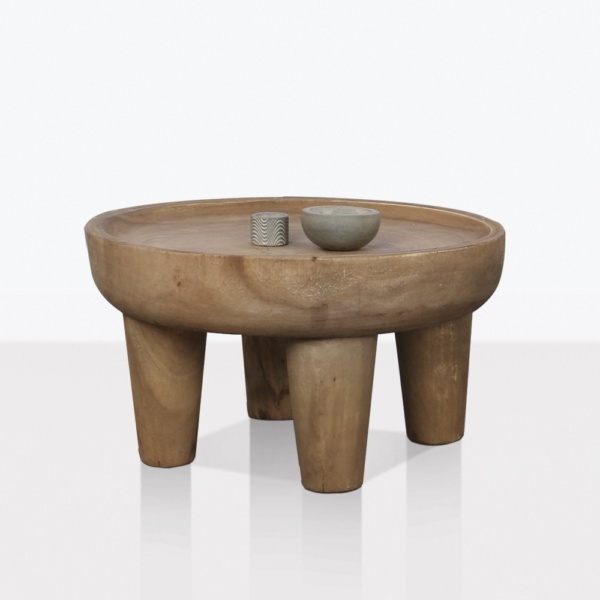 They have been carved from large teak trees and smoothed into round tabletops. The legs are attached and extremely sturdy. 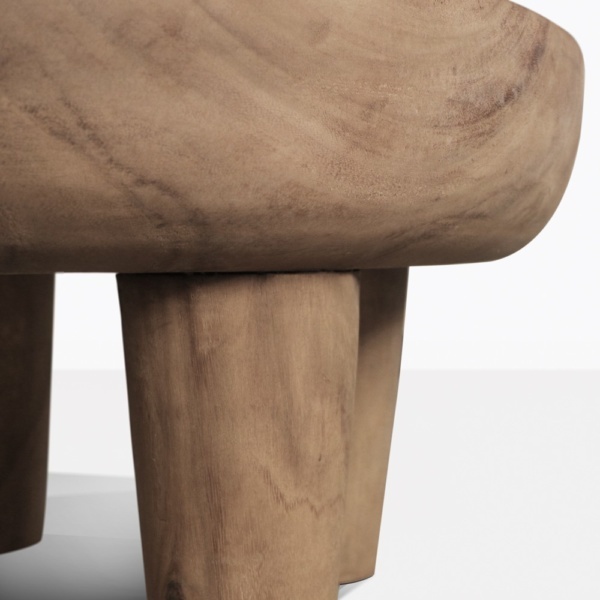 The pieces are solid teak wood, so they have a strong and very good weight. 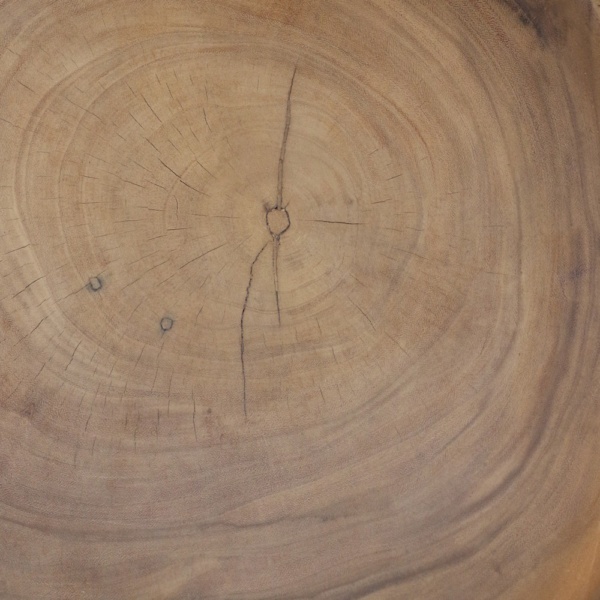 The teak is left raw so that you can see the grain of the wood, and even the tree rings on some of them. Each one has its own unique character, it is rich with interesting details. These coffee tables are works of art by nature and will add warmth and charm to your living space.